In today’s dog-eat-dog world, you cannot lay back and relax if you want to find a job that fits your profile and works best for you. Which is why you should strive to get closer to that dream job as possible. Also, needless to say, you need one for bare survival. You need to get in touch with employers, whether you are looking for a job or looking to change the one you have. Since you generally have a smartphone with you at all times, it might be the best tool for job search. Here are 5 job search apps that will make your job search easier. LinkedIn is a great way to show what you got to future employers. It not only helps you keep connected with your colleagues, but since it connects you to a professional network, it also works to your advantage, when it comes to connecting with future employers. It gives you access to thirty five million members from around 140 different industries. One part of job search that will always matter is making connections which is where LinkedIn has got you covered. 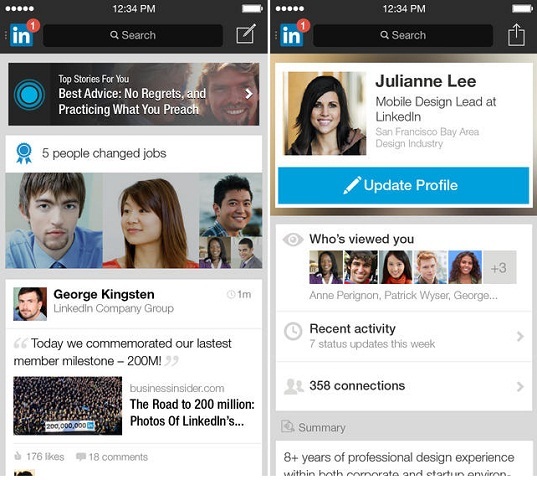 When we talk about job search apps, one app that can’t be ignored is the Monster app. 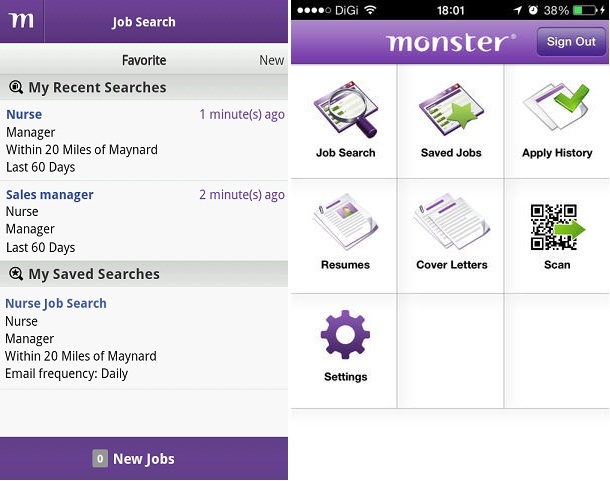 Monster.com made its name being one of the premier job search sites worldwide and the smartphone app takes it forward. It is a great way to get connected with future employers and also, when you need it the most, to keep applying for jobs. It helps you easily apply for as many jobs as you want and also keeps track of your applications. Once you are done with filling in the necessary information, all you need to do is find out the job you want and press apply and you are done – simple as that. Whether you are a new member or have used Monster.com in the past, this one will come in handy. 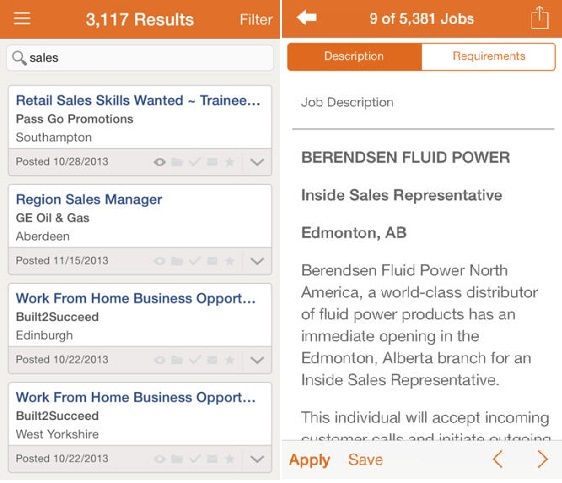 Careerbuilder gives you access to local and national job listings in one place. It also has features such as ‘quick search’ and advanced search. You can look for jobs in different cities at once with the advanced search option. You can also specify the salary you want and look up job listings according to that. You can also register to get job alerts on your email. 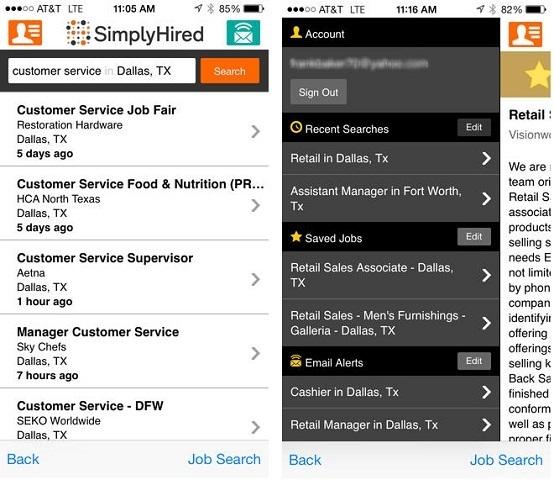 SimplyHired is not just a job site, it is actually a collage of everything a jobseeker needs. It helps relieve one from the stress of job hunting by collating job ads from newspapers, online job portals and other sources in a single space. You can filter results and choose from full time and part time gigs available. Naukri, since its inception has become bliss for Indian jobseekers. It has successfully offered them a venue to find jobs easily and even offers resume making services. Besides Indian listings, it also shows international job listings and lists them according to various job profiles. You can filter jobs as per your convenience and apply easily.